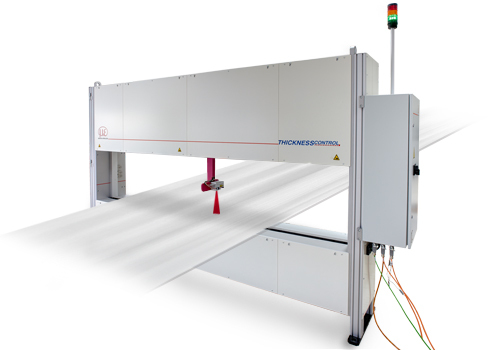 The IPC-based measurement systems of the thicknessCONTROL 820x series are equipped with powerful signal processing software. 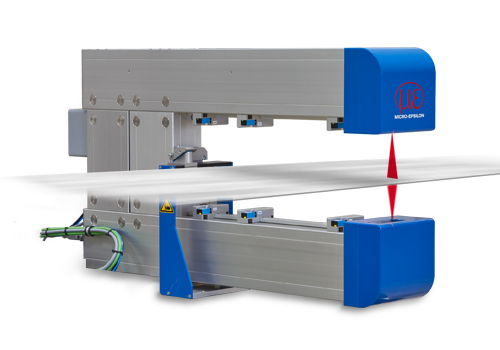 The systems are largely based on discrete laser line technology and so are suitable for complex applications. The systems are available in C-frame or O-frame-configurations. Accessories for harsh environments such as pneumatic protection devices for lenses, cooling packages for switching cabinets and sensor technology complete the product range. 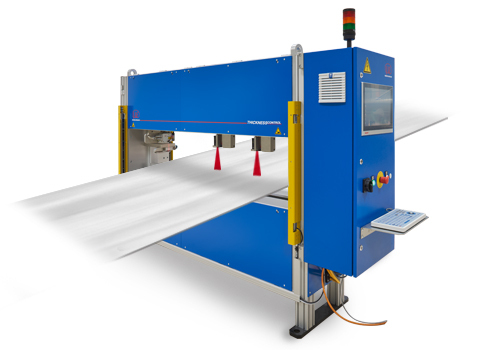 The operating principle of the thicknessCONTROL MWS 8203.LLT system is based on laser line triangulation scanners (i.e. profile sensor technology) that provide extremely high lateral resolution and therefore the required precision can be achieved. The highly dynamic positioning of two profile sensors at the edges of the strip to be measured enables high precision width measurements. These sensors measure the width synchronously using the distance measurement between both sensor positions. 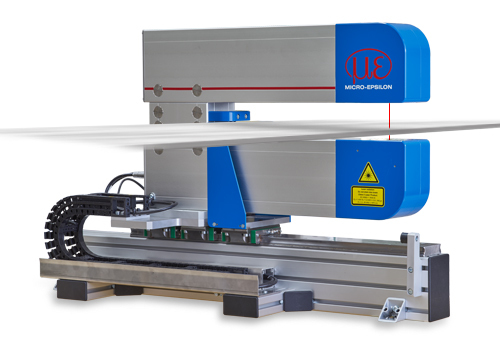 In the case of large widths, thermal expansion plays an important role and is compensated for by using an innovative concept that prevents the precision of the measuring systems being impaired by the width of the material to be measured. The 2D profile sensor not only recognizes the strip edge, but also knows the height information, enabling the sensor to account for possible tilting of the metal strip. Working in combination with the thicknessCONTROL MTS 8201.LLT thickness measurement system, the upper thickness sensor can also be applied as a width sensor.